Well, gang. 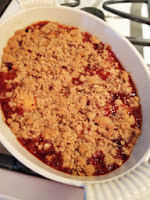 Peach-A-Pa-Looza continues in our kitchen. But I think we are getting to the end of it. My dad dropped off a bushel last week, so we have been making our way through all those before we get into all the apple-pumpkin-spice-a-pa-looza. 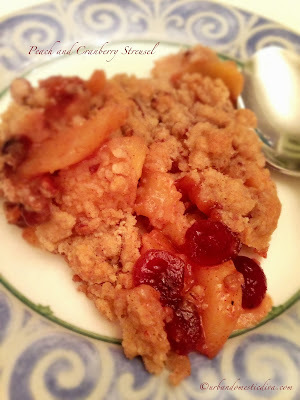 This is a super easy dessert that you can sub apples or berries if you wish. The key is a shallow dish to get thing syrupy and gooey while crispy on top. Vanilla ice cream is awesome on top if you have it! Preheat oven to 400˚. 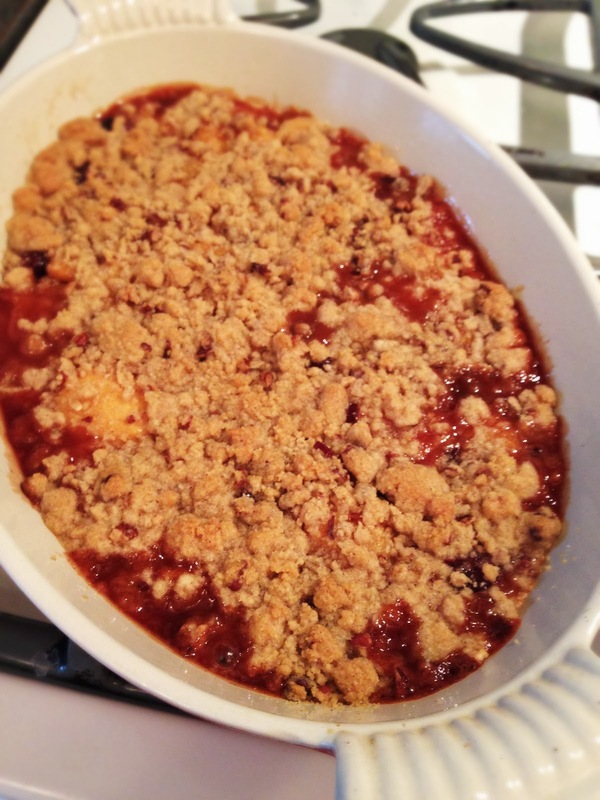 Spray a shallow baking dish (1/2 inch deep or less) with nonstick cooking spray. Set aside. 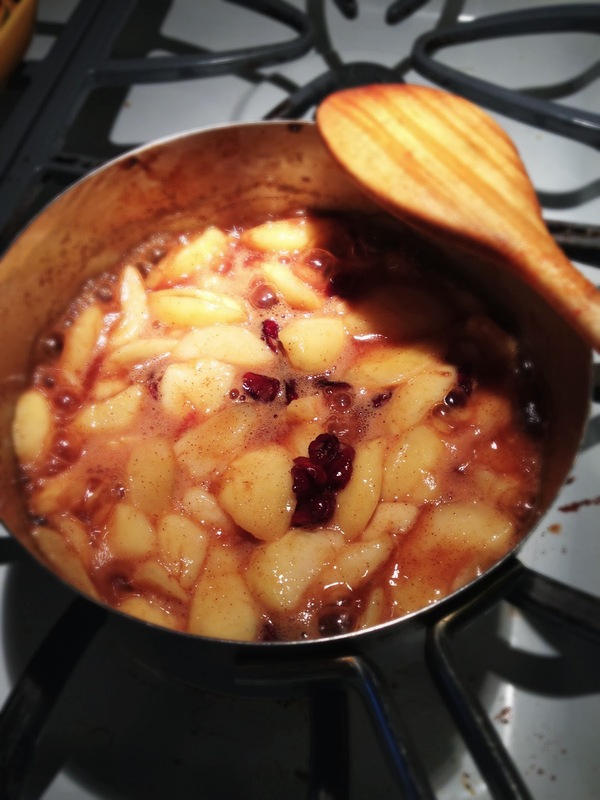 In a saucepan mix the peaches with spices, water, sugar and vanilla. 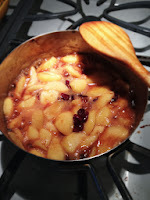 Cook on medium heat, simmer for 10 minutes until thickened a syrupy. Take off heat and cool slightly. 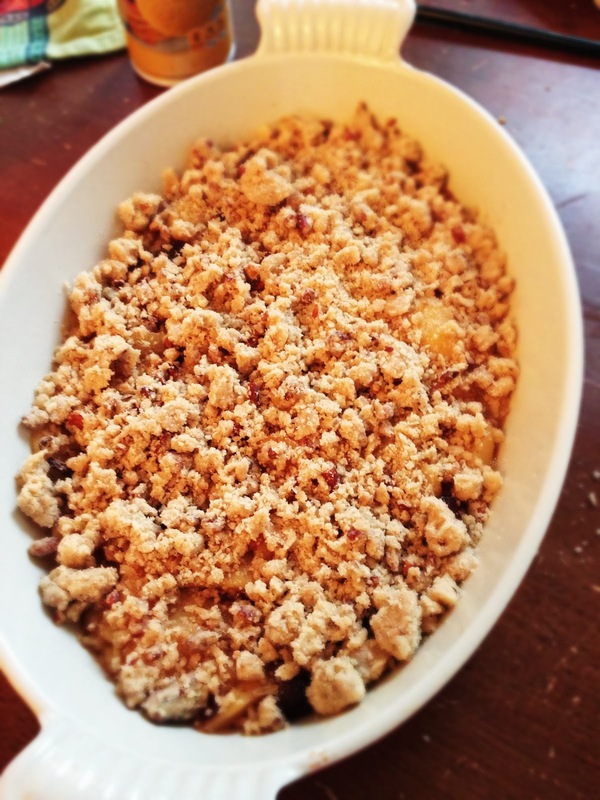 Meanwhile, make crumble top. In a small bowl mix nuts, flour, salt, sugar and spices. Cut in the butter, and using a fork and your fingers, press and mash it in the flour. 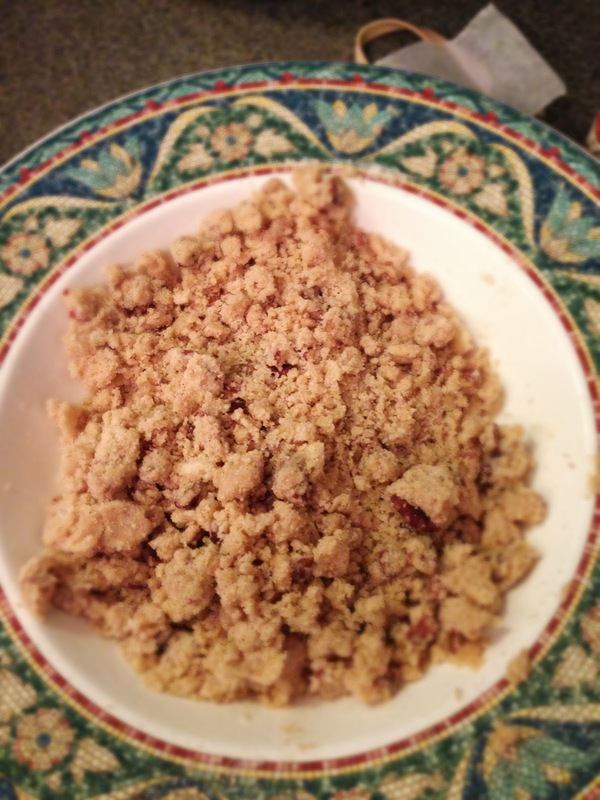 The mix should look crumbly and butter evenly distributed. 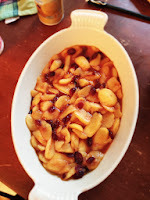 Pour peach mixture into the baking dish. 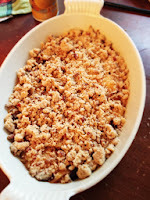 Crumble the streusel mixture in a even layer on top. Bake for 20-30 minutes, or until top is golden and peaches are soft and bubbly. Serve warm. If your feeling decadent add some vanilla ice cream in top!